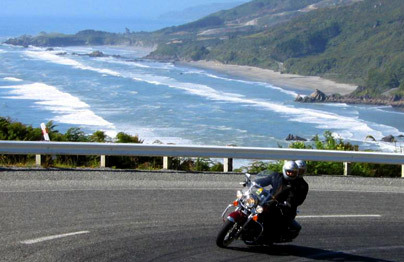 Our motorcycle touring vacations in New Zealand are second to none. Our aim is not simply to provide you with the best motorcycle tour you’ll ever have – we aim to give you the best holiday or vacation you’ll ever have! We think that too many NZ motorcycle tours stick to the main routes and tourist towns, and totally miss the ‘real New Zealand’. If you want to see neon then you can do that at home, right?? Our touring vacations visit some out-of-the-way areas that are often missed by other motorbike tour companies because of the herd-like size of their groups – just check out our itineraries , we bet you’ll have trouble finding some of our stopovers on your map! In fact even a lot of Kiwis don’t know about these locations. You’ll still get to see the main sightseeing attractions – the glaciers, the mountains, the glacial lakes and rugged but beautiful coastlines. If you take motorcycle touring vacations with us then you’ll get to see the real New Zealand, see our heritage, and meet real New Zealanders. Many of these places are ignored by other motorcycle tour operators. We know that you haven’t come to NZ for a standard tour of the tourist sights, and we’ve chosen those special accommodations loaded with ambience and atmosphere that we would use ourselves when we are on holiday. 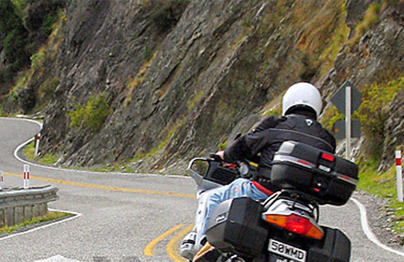 If you like the sound of one of our motorcycle touring vacations then we are happy to let you know the specifics of the itinerary that applies to that tour. The reasons for this are that we try very hard to be flexible, and if you contact us early, we can often “tweak” a tour to suit your preferences. Obviously the earlier you can get in with your request, the more flexible we can be. 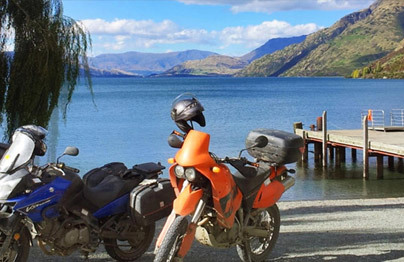 Let us talk to you about yourself and your preferences so that we can help you plan and pre-book your New Zealand motorcycle touring vacation itinerary. You won’t have to worry about missing the best roads, the best accommodation and hosts, or the best restaurants. But, and perhaps most importantly, we’ll ensure that you avoid the worst of them. Quite simply, we remove the fish-hooks from your holiday. All you do is ride your motorcycle and enjoy touring vacation.